Trump said Senate Majority Mitch McConnell, R-Kentucky, will put the legislation on the Senate floor for a vote next week. 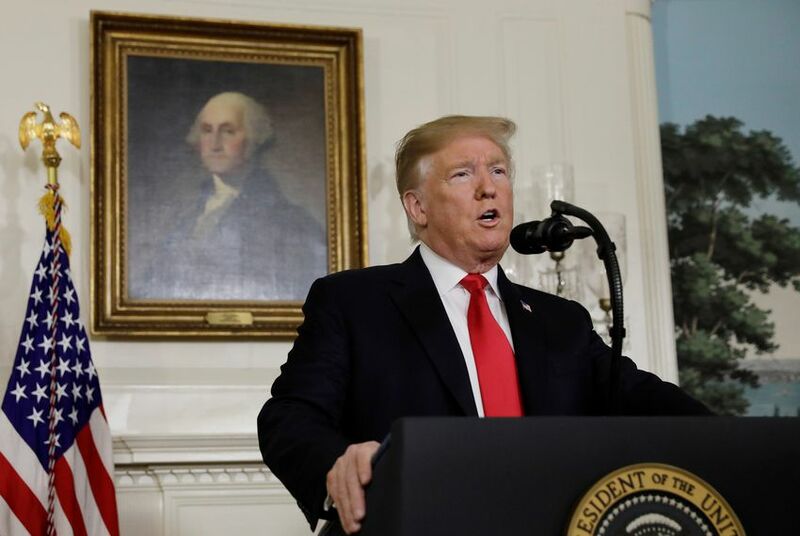 But some Democrats rejected Trump’s offer as unacceptable before it was officially announced.House Speaker Nancy Pelosi, D-California, called it a “non-starter” and implored Trump to take action to open the government. Trump had indicated for weeks that he would not entertain an extension of DACA, which began in 2012 under President Obama and has offered renewable work permits to immigrants, known as “Dreamers,” who entered the country illegally as children. Trump had said he was hoping the Supreme Court would hear an appeal to a lower court’s injunction on his attempt to end DACA and, if the high court ruled in his favor, that ending the program would give him more leverage in talks with Democrats over the future of the Dreamers. Aides to the top Democrats in Congress — Pelosi and Senate Minority Leader Charles E. Schumer, D-New York — said late Friday that they had received no new offer from the White House. The fight escalated on Saturday, with Trump telling reporters he hopes Pelosi can “come along and realize . . . that walls work.” Trump was asked if the shutdown had become too personal between himself and Pelosi. Sen. Tim Kaine (D-Va.) said Saturday that Democrats have shown repeatedly in the past that they’re willing to provide border security funding — but stressed that President Trump must first agree to reopen the government before such discussions can resume. Paige Winfield Cunningham, Philip Rucker, Josh Dawsey, Paul Kane, and Damian Paletta contributed to this report.